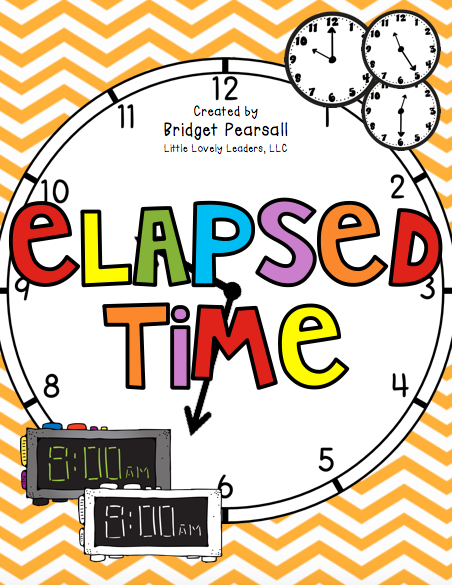 Time for your students to learn how to tell ELAPSED time! Below you'll see everything included in this pack! I am going to take you through a little explanation of what exactly all of that is that you see below. On the left, the tan/blue/pink pages, you'll see the practice pages I included. I usually use these to practice the use of the analog clock before we start this unit. 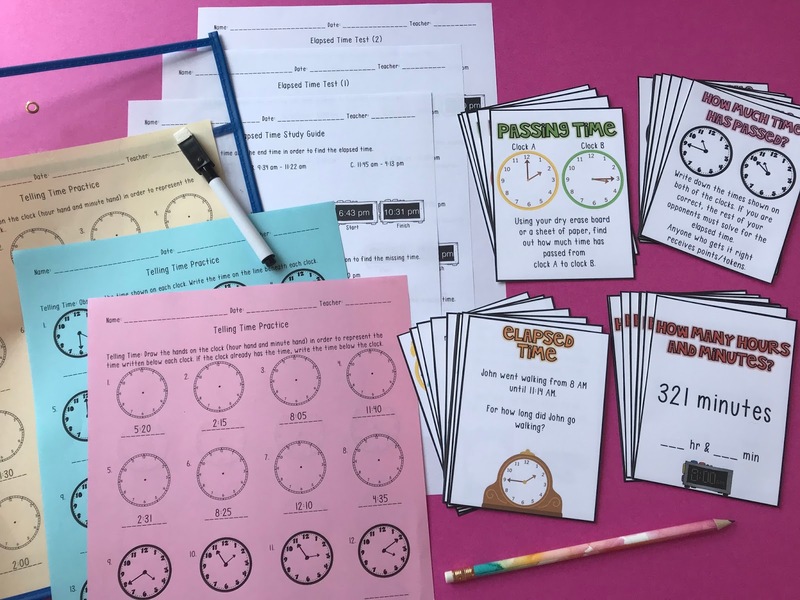 If they aren't great at reading the time on an analog clock, then they will struggle with the whole unit. It's great to address this at the beginning. 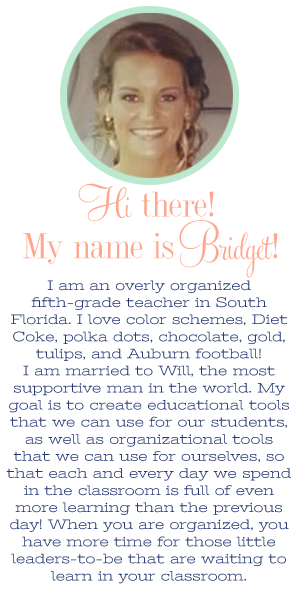 I slide these into sheet protectors so that my students can use dry erase markers on them. This allows me to reuse these same pages year after year without recopying. Environmentally friendly for the WIN! The four small decks of cards on the right are four different styles of practice questions. You can use these at a center, as cards in a game with a gameboard, up on your projector screen as a whole group, and in so many more ways! They can even be task cards! The reason there are four different decks is because I worded the questioning in four different ways. There are many different ways we see these elapsed time questions in the testing setting. The kids may be totally awesome at solving elapsed time questions, but if the test asks the question in a way they are unfamiliar with, then they will most likely get it incorrect. 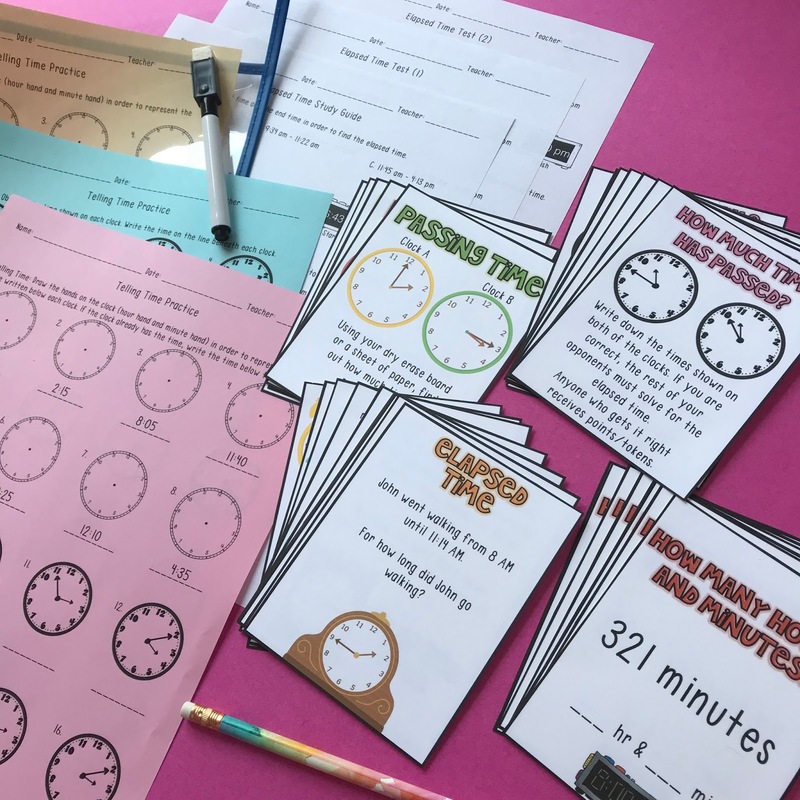 This allows you to present it to them in four different ways, making them even more fluent at reading/answering these questions than they were before! Click here to see different photos and read more about this pack!